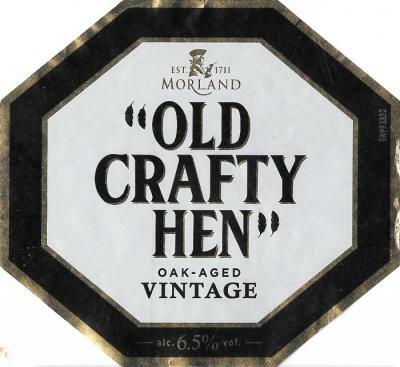 Morland Old Crafty Hen Oak-Aged Vintage offers of this moment are all on beeroffer.co.uk. Morland Old Crafty Hen Oak-Aged Vintage is a English Strong Ale with 6,50% alcohol. Today there is 1 beer offer of Morland Old Crafty Hen Oak-Aged Vintage.